Apple cider vinegar has many benefits for human health. One of the numerous benefits of organic apple cider vinegar is the great influence on your hair and scalp. It cleans the hair and gives it volume and shine, but it also prevents hair loss. Apple vinegar reduces itching of the scalp and eliminates dandruff by destroying bacteria or fungi that are confined in hair follicles. Alpha – hydroxy is the active ingredient in apple cider vinegar. This substance helps in removing the build – up from styling hair products, enhancing the healthy and smooth the hair, making proper pH balance, helps hair growth and healthy scalp. 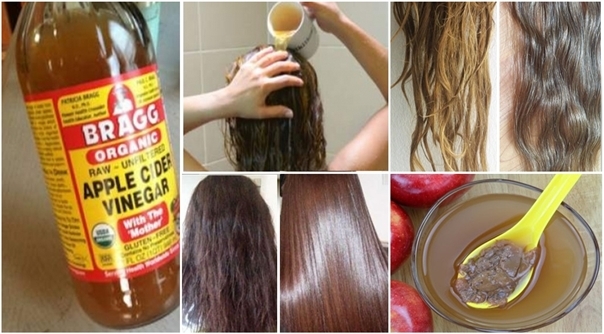 The method is simple, just rinse your hair with some apple cider vinegar mixed with lukewarm water. Encouraging hair growth – ACV can treat clogged hair follicles due to bacterial infection that creates crusty flakes on the scalp (which can result in hair loss).